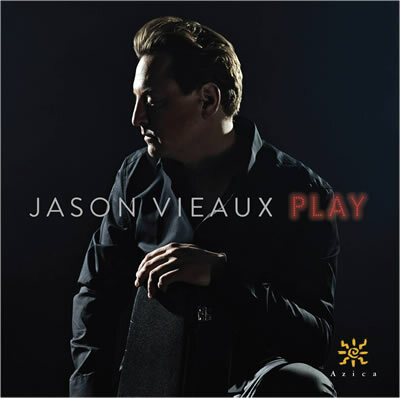 Classical guitarist Jason Vieaux's new recording PLAY is not only like pop iTunes, it is part of the revitalized interest in the classical guitar. Vieaux said he is connecting to students all over the world via the internet for his online seminars. Vieaux has been appearing with many symphonies around the world and will be the soloist on John Corigliano's Troubadours, variations for Guitar and Chamber Orchestra with Symphony in Cin The Gordon Theater at Rutgers-Camden. 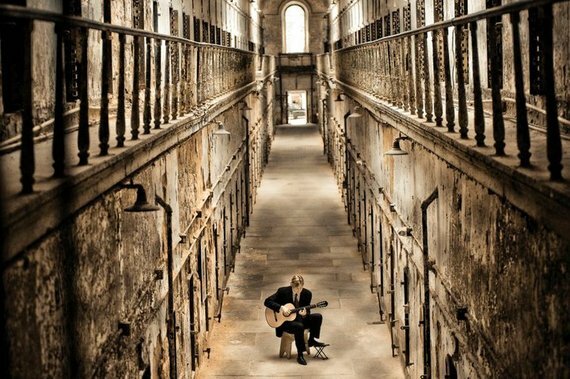 The guitarist, based in Cleveland, OH, has many musical ties to the Philly area, having co-established a classical guitar program at the Curtis Institute of Music in Philadelphia several years ago. In the weeks leading up to the Symphony in C concert, he will be giving master classes in guitar at Curtis. Meanwhile, after two decades of constantly touring, he is paring back to have more time for his personal renaissance as a husband and new father. Vieaux took a break from his regimen of three hours morning practice in a phone interview from Cleveland last week. "'Troubadours' was commissioned in 1993 and actually, the story goes that the composer wasn't that receptive writing a piece for guitar and orchestra. But guitarist Sharon Isben requested that he compose something for guitar and, to her credit, was persistent. She gave him reading material on 13th century troubadours, specifically female troubadours and this sparked his musical imagination. "This piece has a dark and cinematic style, the composer also wrote the concerto for the film The Red Violin and he uses a lot of textures, and is very adept at creating a visual landscape with orchestra," Vieaux observed. "The guitar slowly comes in like a wandering troubadour from the distant. It's going to be great to play this with the young musicians of Symphony in C," he said. The orchestra, under the musical direction of Rossen Milanov, is a professional training ground for the world's orchestras. Along with Troubadours, guest conductor Philip Mann with lead Symphony in C in Tchaikovsky's 5th and after Vieaux's performance, it's easy to predict that the guitarist will not go away without playing an encore from PLAY. Vieaux said that he uses one of his three guitars for both recording and performing: "For me, a guitar has to be able to take on many characters and have a transparency to take on a lot of different emotions and color, clarity." The 17 selections on PLAY mix classical, contemporary and traditional compositions for solo guitar. Vieaux said that he wanted to do something other than a recording devoted to one or two composers, which is standard for classical recordings. It celebrates the "sheer joy and physicality of playing these pieces" and it also represents two decades of "playing on the road, a touring artist," he said. The disc includes classics from Antonio Carlos Jobim's A Felicidade to film composer Stanley Myers' Cavatinatheme from the film The Deer Hunter. "There are some of the greatest hits of the guitar, but many of the tracks are not well known, like Misionera by Fernando Bustamante is a longtime encore of mine that has been so well received. And my arrangement of Duke Ellington's In a Sentimental Mood and some of the newer things that I think will become greatest hits," Vieaux said. He also has many dance numbers from flamenco, Afro-Brazilian jazz and traditional guitar classics. The global culture of guitar and Vieaux scope on PLAY and in concert is fully represented. One of the highlights is 'Estudio Sin Luz, composed by the iconic Andres Segovia. He learned at age 12 this unknown soulful etude and the first recital piece. He thinks Segovia would have been a great composer had he not been in demand as the international ambassador of guitar. He explains that Segovia composed the song while mostly blind after an eye surgery, hence the title. "That was my dad's favorite piece when I was first starting to perform when I was 12," Vieaux said.